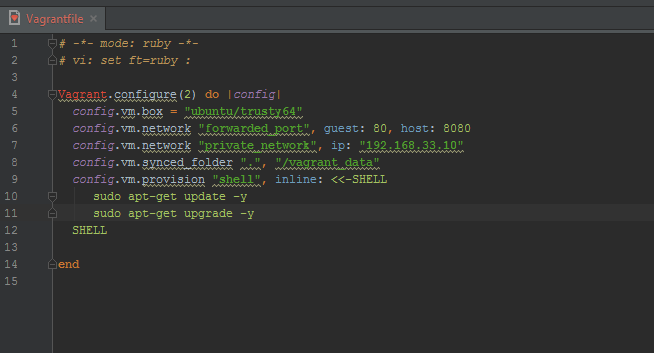 in order to have nice syntax highlighting for Vagrantfiles I installed the ruby plugin for Intellij IDEA. Unfortunately, now I get a lot of warnings, like "Cannot find Vagrant" "Cannot find configure" "Cannot find vm"
Any clue how to get rid of those messages, and mabye even better get a real check in order to support writing correct Vagrantfiles? Browse other questions tagged ruby intellij-idea vagrant syntax-highlighting vagrantfile or ask your own question.